In case you’ve made up your mind to purchase a house of your own and have only vague impression about the housing market, Personal Money Service is the right site to visit. If you borrow money to buy a house, you should apply for a mortgage. It’s a loan which allows you to make a purchase not paying the full value at once, but covering the cost and the interest rates during a certain period of time. Mortgage loans are issued in various kinds and each option for a new home purchase financing has its benefits. You can also apply for the so-called second mortgage based on your home equity. This site is aimed to help the potential borrowers understand the differences between them. Every Personal Money Service client should find here the loan that best suits his financial situation. It’s possible to save thousands only in interest over the life of your loan by simply choosing a 15-year term over a 30-year one. Still, you should keep in mind your monthly payment, will be higher under such circumstances. With a fixed–rate loan, your principal and interest payments will be stable from month to month. They, however, can be lowered by spreading them out over a long period of time. Adjustable Rate Mortgages presupposes lower early payments and may allow you to take advantage of lower interest rates in future. FHA home loans are backed by the Government and VA mortgage options are guaranteed by the Department of Veteran Affairs. The differences are multiple and you should be aware of each nuance. Making such a responsible step as buying a house the borrower should take every slightest detail into consideration. The procedures of getting a home loan are not so easy as they may seem. 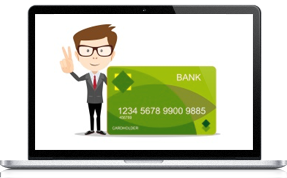 Many of the factors of the applicant’s financial life should be revealed and taken into consideration, assets, debt ratio, credit history are only some among them. All these aspects influence the terms and conditions the lender will offer to the mortgage loan potential borrower. Personal Money Service matches her clients with the mortgage providers and allows the customers choose the terms, conditions and interest rates most suitable for their particular situation. Mortgage loans come in many forms and our service helps you tailor the loan in accordance with your current financial state and risk tolerance. You may choose among fixed-rate 15 or 30 year term home loans, adjustable-rate mortgages (ARMs) or less common types of them, like interest-only or payment-option ARMs. Don't waste your time. 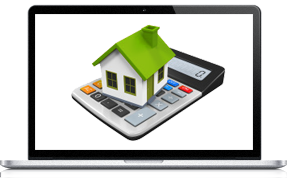 Get a mortgage loan online. How does the Personal Money Service Work? Our company provides her services of matching the potential borrowers and the third party lenders free of charge to the customers. The applicants’ requests are submitted to the wide network of the loan providers, which offer their specific loan terms to every client. Every customer should agree on the final terms and loan conditions with the mortgage lender directly. For the request to be proceeded the customer should submit certain personal and contact information through our site. Our company develops the present site to provide our customers with the most up-to-date information, basic terms and notions in the sphere of common ownership. We take care that the data published comes from the real estate experts, being the most recent and of the best quality. Study carefully the information provided and make the first step to the house of your dream!